PICKIN’ CHICKENS GAME REVIEW Pickin’ Chickens has all the components of a classic kids game! The theme of the game is a fox stalking chickens. Players have to spin the entire game unit (a plastic representation of a farm field), take a chicken coop off a space to reveal the colour of chicken ..
Pickin’ Chickens has all the components of a classic kids game! The theme of the game is a fox stalking chickens. Players have to spin the entire game unit (a plastic representation of a farm field), take a chicken coop off a space to reveal the colour of chicken underneath. The player then takes a chicken of that colour from the pile of chickens and places it onto their card. The first player to collect all 4 chickens is the winner – but be careful, if the fox pops up when you spin the field you lose a chicken (to the fox!). 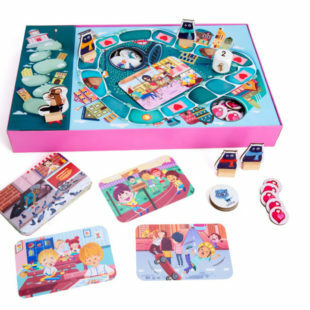 The game is for 2-4 players and features all the elements of good gameplay for kids of this age – a tactile physical action, turn taking (an important thing for younger children to learn) and colour recognition. The game is also a lot of fun. Adults may not feel the tension in a game like this, as they know the fox which pops up is a plastic mechanical object. However, for kids the tension and anticipation involved combined with the excitement and hilarity of the fox popping up all adds upto an entertaining gameplay experience! One other feature of the game is that there are two levels of gameplay, an easier one where players can collect any 4 chickens, to a longer gameplay where players must collect one chicken of each colour to win. By default this means younger kids (or those with less patience) can play the shorter version of the game, whereas older kids (or those with more patience!) can play the longer version. 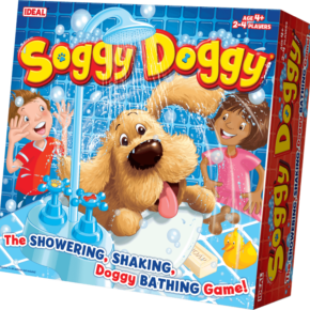 WHO’S IT FOR: Suitable for fun loving game players of 4 and older! 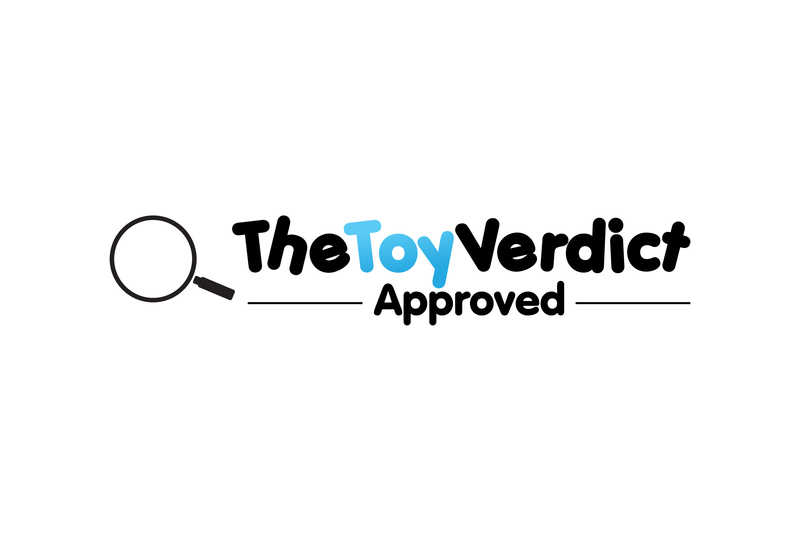 THE TOY VERDICT: Pickin’ Chickens is a fun filled cutesy game.